The filtration of oil mist in the filter is through a multiple filtration process that sets out a settling chamber placed before the metal baffle filtration section which gives a first separation process in which the heavier particles drop to the bottom of the settler as the result of the reduction in speed via an appropriate sloped wall and are discharged into the oil collection tank. This is followed by a filtering section where the oil droplets hit the multi-layer metal baffles, collecting together by coalescence to form heavy particles that fall into the collection tank. 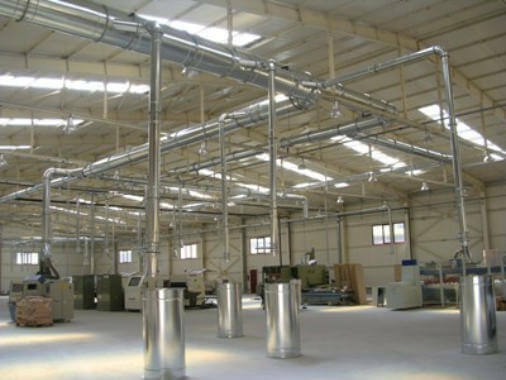 The next section is for fine filtration via compartments in high-yield non-woven fabric with a selected progressive structure, depending on the specific operating conditions. It is intended to extend the period of operation as much as possible where the oil droplets fall into the oil collection tank, always by coalescence. 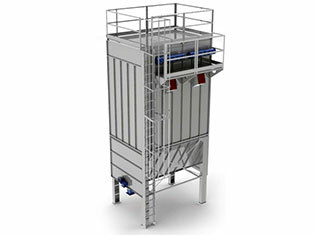 The filtering compartments are emptied of the oil they contain when the panel exceeds the differential pressure of the filtration stage or when the fan is off. ENGINEERING: lathes for multiple operations, threading machines, gear cutters, rectifiers, cold presses, etc. GRAPHICS: letter presses for newspapers (oil mist), etc. FOOD: vegetable oil nebulisers, machines for working pasta, etc. 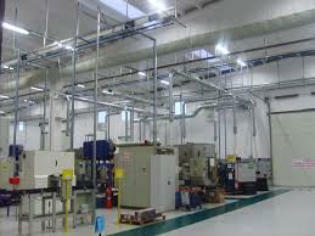 OTHER SECTORS: turbines, compressors, pumps, lubricators, nebulisers, etc.